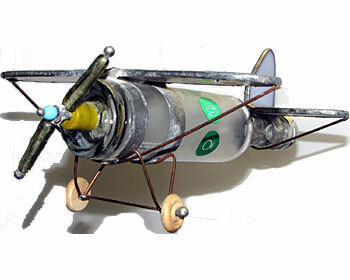 R Desert Studio makes planes out of small to medium size glass bottles. Your favorite beverage can become a plane. 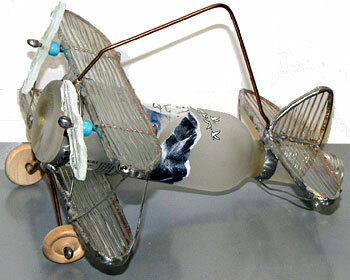 We already make Grey Goose, Coke, and Tabasco planes, etc. Our mini Tabasco planes are known to fly around Christmas trees. Wings can be made in any color of stained glass we have in stock.